A ceremony was held to honor the promotion of Randall G. Ivall to Lieutenant Colonel, USAF, MSC on March 1. Col. Ivall hails from Monticello, and is the son of former mayor Ron Ivall. Col. Ivall currently serves as the chief of the medical logistics division of the defense health agency. Medical logistics is a shared service joint activity under the directory, authority, and control of the DHA assistant director for combat support and is the focal point for medical material standardization with the Department of Defense. He earned his bachelor’s degree in Healthcare Administration from Southern Illinois University and holds a master’s degree in business administration from Webster University. Col. Ivall is a graduate of Squadron Officer School, Air Command and Staff College and the Air War College. Additionally, he was selected as a Logistics Fellow with the Department of Health and Human Services, Assistant Secretary for Preparedness and Response in Washington, D.C. He received a direct commission into the United States Air Force and attended Commissioned Officer Training, 23 TRS, Maxwell Air Force Base in Alabama, graduating as a distinguished graduate and recipient of the Henry “Hap” Arnold award for excellence in leadership. 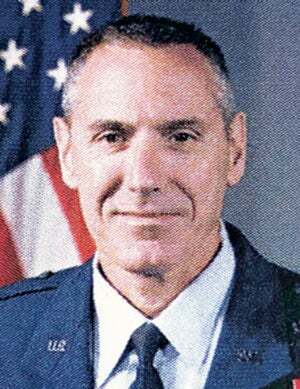 Col. Ivall’s major awards and decorations include a Bronze Star Medal, Defense Meritorious Service Medal, Meritorious Service Medal (three oak leaf clusters), Air Force Commendation Medal, Army Commendation Medal, Navy Commendation Medal, Joint Service Achievement Medal, Air Force Achievement Medal, Army Achievement Medal (one oak leaf cluster) and Navy Achievement Medal. His assignments have included service in the 455 Expeditionary Medical Operations Squadron, Bagram Airfield, Afghanistan. Col. Ivall is married to the former Angela Kujola and they have two daughters, Katilyn and Olivia.